The cot is the easy part. It’s finding all those other bits and pieces to take your nursery from a so-so room with a cot to a dream space worthy of the world’s most adorable baby – yours – that can prove tricky. Beautiful artwork is everywhere, if only you know where to look. Ditto with beautiful cot bedding. Even picture-perfect nursery rugs are there if you look in the right places. But lamps? I’m still searching for just the right lamp for my firstborn and he’s about to turn six! Of course, the march of time means a nursery lamp just won’t do for him anymore. So I’m glad he has a baby brother because I’ve just found an incredible Etsy store that sells the most amazing vintage nursery lamps. Sydneysider Meg Appleby hit upon the idea while searching for a lamp for her daughters. 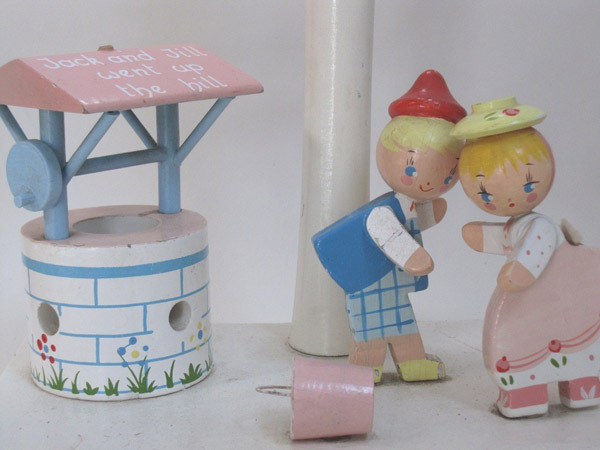 She found just what she was looking for – wooden lamps with sweet little nursery rhyme characters – in a US thrift shop. She loved them so much, she bought the whole lot! And she’s been adding to her stockpile ever since. 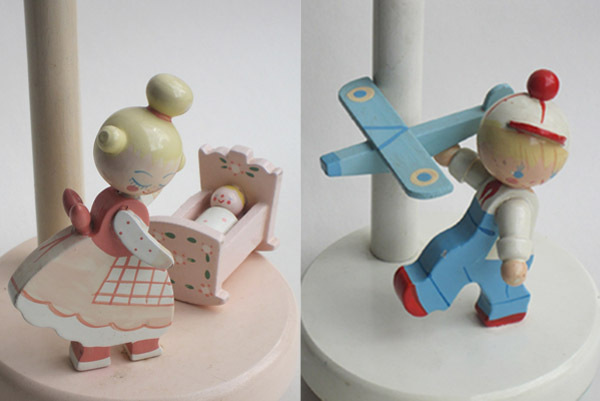 Perfect for rooms with a nursery rhyme or fairy tale theme, you’ll find Hansel and Gretel, Humpty Dumpty and Jack and Jill among the offerings in Meg’s store. 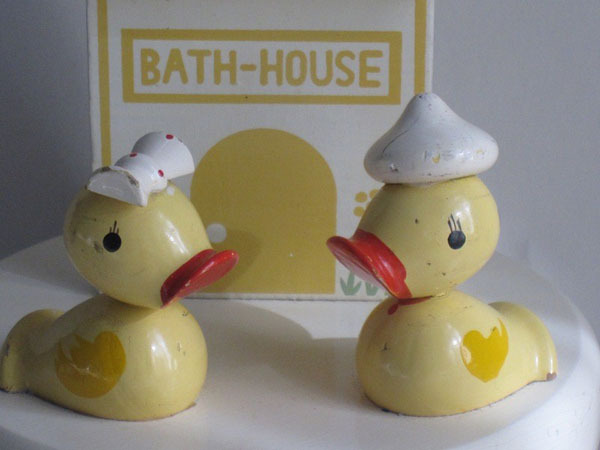 There’s also some sweet little generic designs to match to your colour scheme, including circus clowns, a pink-cheeked mother and baby, and darling little ducks. All the lamps have been rewired for safety and to Australian standards but are otherwise untouched. I think a little paint chip here or a paint scuff there just adds to their charm. Lamps are priced from $100, with delivery a little extra. All designs are a one-off, so be quick if you spot something you like.